Our Health Nut and Registered Dietitian knows that keeping your heart healthy and happy is crucial for maintaining a healthy and long life. When it comes to protecting your heart health, you should limit saturated fat, skip trans fat, keep sodium intake in check, and keep fiber intake up. Plus, you want to be certain to include omega-3 fat in your diet, an unsaturated fat linked to improving cardiovascular health that can be found in fatty fish and plant-based foods like walnuts and chia seeds. Our RD has also put together a list of snacks on this page that are great for your heart! Your heart is a strong muscle roughly the size of your palm. The heart is the engine that keeps your body running properly. The heart operates with two pumps. The strong pump uses arteries to send oxygenated blood throughout the body. The other pump uses veins to return blood to the heart and send it to the lungs to get more oxygen. Regardless of age, it’s imperative you take proper care of your heart. Heart disease can happen to both young and old. Heart disease is the leading cause of death among men and women in America. According to the Centers for Disease Control and Prevention, someone in the United States has a coronary event every 25 seconds. Therefore, it’s imperative you take steps to ensure you heart is well protected. 1) Atherosclerosis: The most common heart disease is atherosclerosis, which is the buildup of fatty deposits or plaques on the walls of the arteries. As the fatty deposits build, there becomes less space for blood to flow normally and deliver oxygen. Depending on where the buildup occurs, atherosclerosis can cause a heart attack, leg pain, or even a stroke. Atherosclerosis is not related to aging and can be very serious. 2) Arrhythmia (Abnormal Heartbeat): Cardiac arrhythmia is a condition where there is an improper beating of the heart. It occurs when electrical impulses in the heart don’t work properly causing the heart to beat irregular, too fast, or too slow. Symptoms include fluttering in the chest, chest pain, fainting, or dizziness. Arrhythmia is most common in older individuals, but can occur at any age. 3) Congenital Defects: Congenital heart defect is a problem with the actual structure of the heart and is typically present at birth. It is the most common type of birth defect. Defects of the heart can include the walls or valves of the heart, the arteries, and veins near the heart. These congenital defects can disrupt the normal flow of blood through the heart causing it to slow down, go the wrong direction or the wrong place in the body, or be blocked completely. 4) Congestive Heart Failure: Congestive heart failure (CHF) is the inability or failure of the heart to adequately supply the organs and tissues with proper nutrients and oxygen. A decrease in the amount of blood the heart pumps is not adequate enough to circulate the entire body and return to the heart, which causes fluid to leak from capillary blood vessels. This can lead to symptoms such as shortness of breath, weakness, and swelling. CHF is a very common heart disease, with over 3 million US cases per year. It mainly affects adults of all ages, but is particularly common in older individuals. 5) Heart Attack: A heart attack occurs when the flow of oxygenated blood suddenly becomes blocked and cannot reach a particular section of the heart muscle. If the flow of blood is not restored quickly then a section of the heart muscle begins to die. In the United States, heart attacks are the leading cause of death for both men and women. 1) Monitor your blood pressure. Having high blood pressure can increase your risk of heart disease because it forces your heart to work harder. Limiting your sodium intake and alcohol consumption can help to lower your blood pressure and keep it within a healthy number range. Proper diet and exercise can also help balance blood pressure. 2) Lower your cholesterol. Higher blood cholesterol causes plaque to build up in the artery walls which increases your risk for heart disease. You should limit overall saturated fat intake because it is linked to increasing cholesterol levels, specifically low-density lipoprotein (LDL) cholesterol levels. This “bad” type of cholesterol can increase your risk for heart disease and stroke. Trans fat is also linked to increased LDL cholesterol levels and it is associated with a higher risk of developing type 2 diabetes. The nutrition guideline for trans fat is to simply avoid it entirely. The American Heart Association recommends that saturated fat intake should be 5 to 6 percent of calories or less. For example, if you need to consume 1,800 calories per day, that would equal 10 – 12 grams of saturated fat or less per day. 3) Reduce your weight to a healthy level. Excess weight makes you more likely to have high blood pressure, diabetes, high cholesterol, and a greater risk for heart disease. Managing your weight and ensuring you are within a healthy weight range is important for reducing factors that can lead to heart disease. 4) Increase your exercise. Staying active is a great way to help reduce your risk of heart disease. Exercising for at least thirty minutes a day can help manage your weight, lower your blood pressure and protect your heart. 5) Maintain a balanced diet. A proper diet is crucial to staying healthy and reducing your risk of heart disease. Eating healthy meals and snacks are important for helping manage your weight, lower cholesterol, maintain blood pressure, and prevent heart disease. Proper diet and exercise is the core of living a heart-healthy and happy life! This page is for informational purposes only and shouldn't replace medical advice. Try some Heart Healthy Foods! Fruit chips have 0 grams of saturated fat, only 20 milligrams of sodium and 4 grams of fiber per serving. The chips are a mix of bananas, pineapple, honeydew, apples, and starfruit. Pack a serving of these chips for an on-the-go snack or, if you love dipping, try vanilla yogurt! 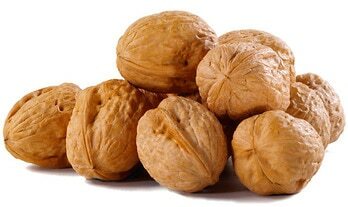 Walnuts have nut the highest amount of heart-protective omega-3 fats per serving. As an added bonus, each serving packs 3 grams of fiber. Walnuts are great as a standalone snack and they are perfect on salads or to added into recipes. The great thing about roasted chickpeas is that they have 5 grams of fiber per serving. A serving of these chickpeas has only 10 milligrams of sodium and delivers 5 grams of protein. They make a wonderful crunchy snack. They also balance out the flavor of dried mixed berries or tart cherries. These mixed nuts are a combination of organic cashews, Brazil nuts, walnuts, almonds, pecans, pistachios, macadamia nuts, and hazelnuts. Each one-ounce serving provides 3 grams of fiber and 6 grams of protein in 180 calories. Enjoy these mixed nuts for a heart-healthy snack or as a nutrient-rich addition to a meal. A 2013 Harvard study published in the journal Circulation found that women who ate at least three servings of blueberries and strawberries per week were 34% less likely to suffer a heart attack than those who ate fewer servings. Good news – this berry mix includes dried blueberries and strawberries, along with sour cherries, cranberries, blackberries, and bing cherries. Each serving has 160 calories and 3 grams of fiber. Add these to oatmeal for a sweet and tangy flavor, pair with some walnuts for a quick snack, or just enjoy them as-is. These are a healthy alternative to traditional chips with no salt added, 3 grams of fiber, and only 126 calories per ounce. The chips are an assortment of sweet potatoes, squash, carrots, green beans, and taro. Serve these with plain Greek yogurt for dip! Popcorn is a wonderful fiber-packed snack! Each serving has 3 grams of dietary fiber and only 1.5 grams of saturated fat. Try portioning this tasty snack into single serving bags for quick on-the-go snacks. This granola has a hint of sweetness with 120 calories per ounce and 2 grams of fiber. Try mixing it with sliced bananas and vanilla yogurt for a snack or quick breakfast. Give the Gift of Heart Health!